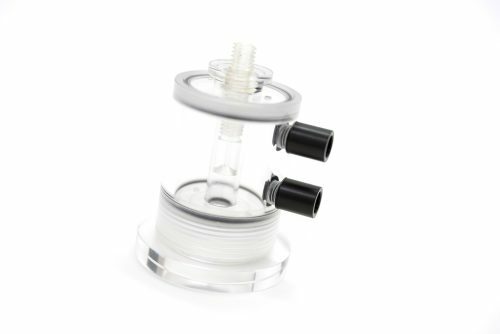 The DW3 large-volume electrode chamber is particularly suited to oxygen evolution/uptake measurements of macroalgae in seawater samples of between 1ml – 20ml (15ml – 20ml if illumination is required). The square-section borosilicate glass reaction vessel interfaces with a prepared S1 electrode disc forming the floor of the reaction vessel. 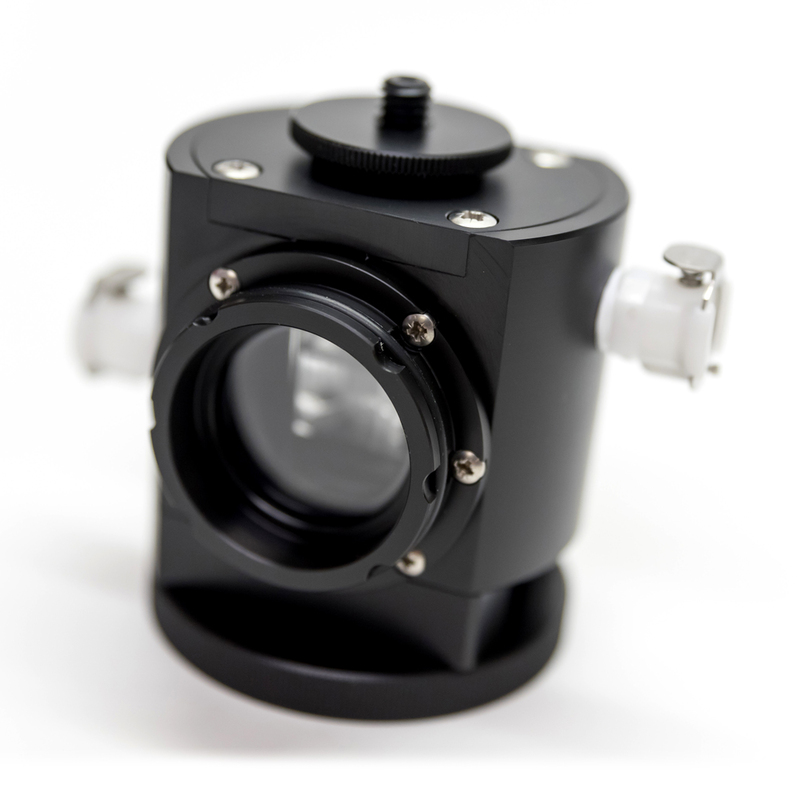 A large quartz front optical port allows a large sample surface to be uniformly illuminated using the LH36/2R red LED light source. Samples may either be in stirred suspension or in the case of laminar material, may be vertically supported and retained by the plunger such that they may be fully illuminated. 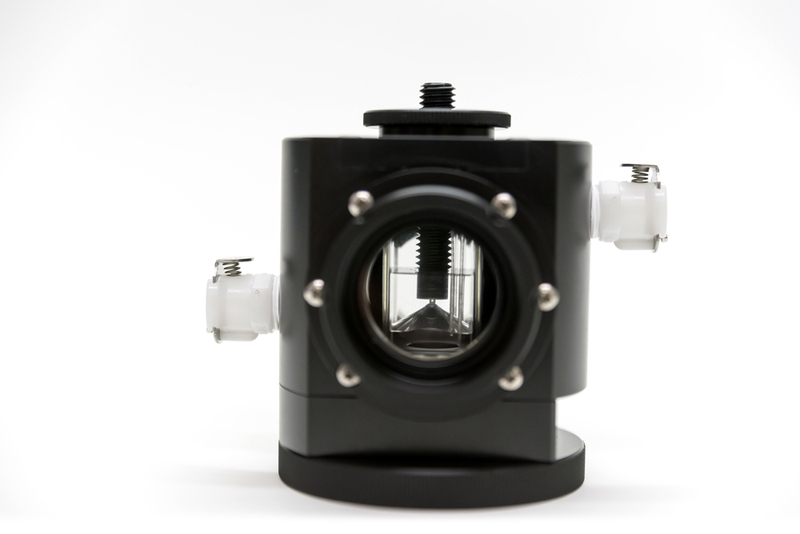 Precision temperature control of sample and sensor is delivered via a concentric water jacket with self-sealing ports for connection to a thermoregulated circulating water bath. 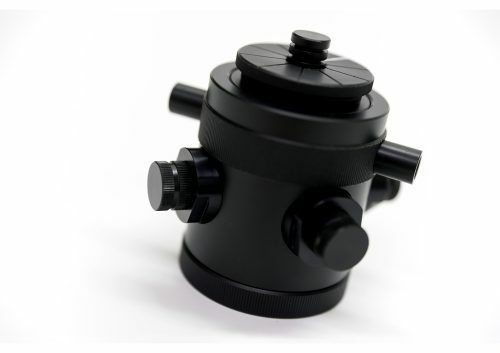 The water jacket is constructed from black acetal which provides the ability for dark adaptation of samples or oxygen measurement in complete darkness. An additional optical port on the reverse of the chamber allows other items such as additional light sources, fibre-optic light guides and detectors to be mounted on the DW3 enabling spectroscopic measurements to be made. DW3 is fitted with a plunger with a precision central bore. 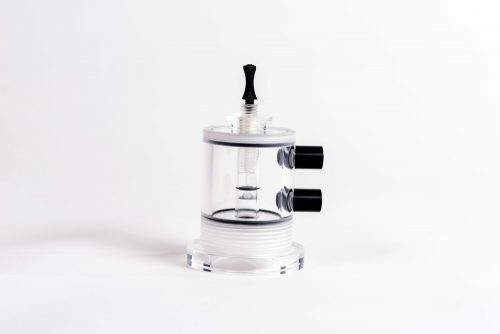 The height of the plunger may be adjusted easily to suit liquid-phase sample volumes of between 1ml – 20ml whilst the central bore easily accommodates Hamilton-type syringes allowing additions/subtractions to/from the reaction vessel during an experiment.